Palakkunnu Sree Bhagavathy Temple, located near Bekal in Kasaragod, is one of the most famous temples of Northern Kerala dedicated to Mother Goddess. The goddess here is worshipped in two forms one as Goddess Durga (Mootha Bhagavathy) and the other as Goddess Saraswathy (Elaya Bhagavathy). Pooram Mahotsavam and Kalamkanippu Mahotsavam are the major festivals of Palakkunu Temple. Pooram Mahotsavam which falls in the Malayalam month of Meenam starts on Karthika asterism and ends on Pooram asterism. During Pooram Mahotsavam, the Poorakkali, a ritual art popular in northern Kerala will be performed every day. Kalamkanippu Mahotsavam a rare celebration will be performed twice every year, i.e. in the Malayalam months of Dhanu and Makaram. 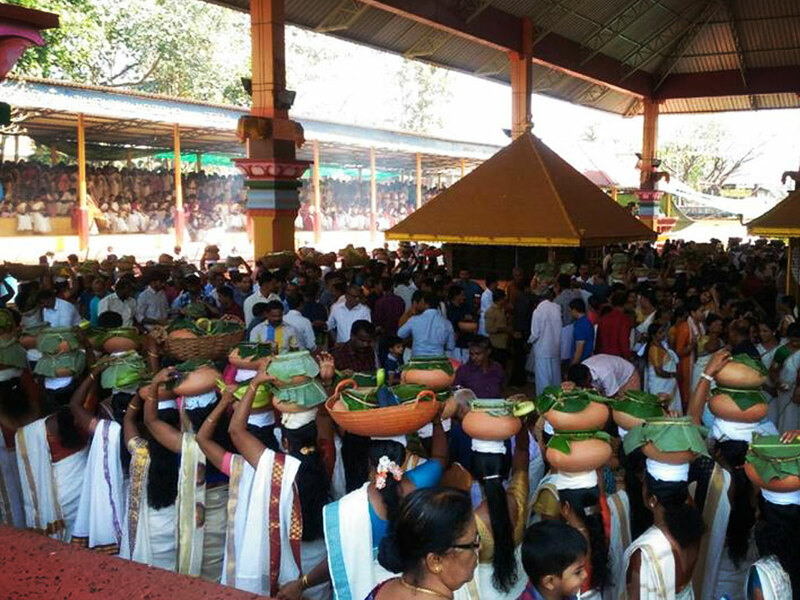 In Kalam Kanipu Utsavam the main event is hundreds of women carrying offering (raw rice, jaggery, coconut, and rice powder to prepare Nivedyams) in earthen pots on their heads streamed to the temple premises. The annual Bharani Mahotsvam is performed during the month of February/ March every year. The festival is noted for the colourful processions known as Thirukazhcha from different localities and the matchless display of fireworks. 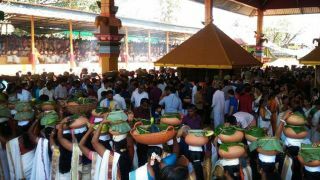 The temple also celebrates a rare festival known as Thengayeru.